« What Should Economics Do in the Next Decade? Back then [in the 1930s], serious thinking about the general state of the economy was dominated by the notion that prices moved, market by market, to make supply equal to demand. Every act of production, anywhere, generates income and potential demand somewhere, and the price system would sort it all out so that supply and demand for every good would balance. Make no mistake: this is a very deep and valuable idea. Many excellent minds have worked to refine it. 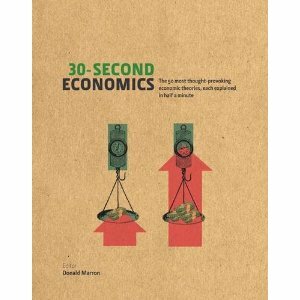 Much of the time it gives a good account of economic life. But Keynes saw that there would be occasions, in a complicated industrial capitalist economy, when this account of how things work would break down. Solow thus credits Keynes with pioneering the “uncertainty” meme, although in a different sense than many commentators invoke it today. His whole review is well worth a read if you are interested in the history of economic thought, including Fisher, Hayek, and Schumpeter. The idea of genuine uncertainty is clearly found in Knight’s famous book published many years before. Solow admits that the only Hayek he’s every read is Hayek’s _Prices and Production_, assigned to him as a student. And he admits at the time it was completely over his head. So Solow has nothing to go on but his student years incompetence from more than half a century ago when he speaks of Hayek. Harrod invented the modern “Growth Theory” modeling effort — inspired by Hayek’s work, as John Hicks tells us. This, fact, no doubt, is not part of Solow’s knowledge base. Greg is right; the notion of genuine uncertainty is in Knight’s book. But the key to Keynesian economics is uncertainty and expectations coming together to to form the basis for action (or inaction). And that (and much more) Keynes got from John R. Commons (University of Wisconsin), not Knight, both directly and indirectly through Commons’s student, Harlan McCracken. For more on this, see McCracken’s book, Keynesian Economics in the Stream of Economic Thought . He writes: “Commons definitely anticipated Keynes by approximately 20 years” in spelling out ideas that subverted Say’s law.